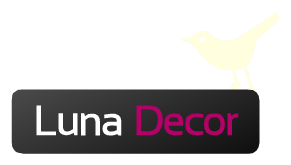 Luna Decor is a specialized studio for arrangement and decorating interiors. We offer exceptional choice of mebl webbing, curtains, drapes, curtain rails and a variety of decorating items. We can go on the field so you can get better feel for designs and colors in space. Visit our retail store and make your space more enjoyable.